Lying between the Caribbean Sea and Atlantic Ocean is the beautiful twin-island of Antigua and Barbuda, located in the Eastern Caribbean region. Local people like to call Antigua the “Land of 365 Beaches”, as they say there is a different beach for every day of the year. The island is rather small and it only takes 45 minutes to get from one side to the other. 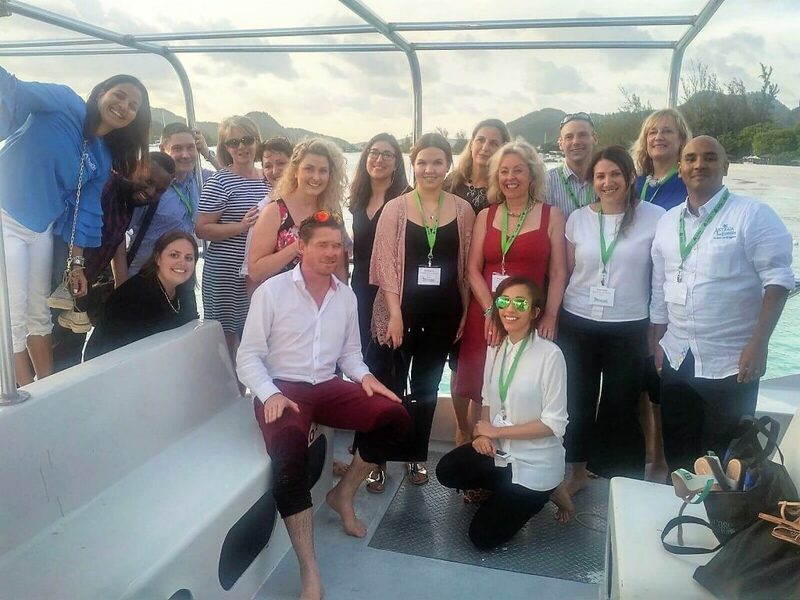 I had the chance to attend this year’s Antigua Showcase – a networking event for product managers and local hoteliers. The trip to my destination was organised by the Antigua and Barbuda Tourism Authority who were amazing hosts throughout the journey. Our group of 5 flew from London Gatwick direct to the newly refurbished Antigua airport. On this flight, we were lucky enough to experience the comforts of BA Club World class. On arrival, the airport had live music in the welcoming area which already gave us the Caribbean feeling. 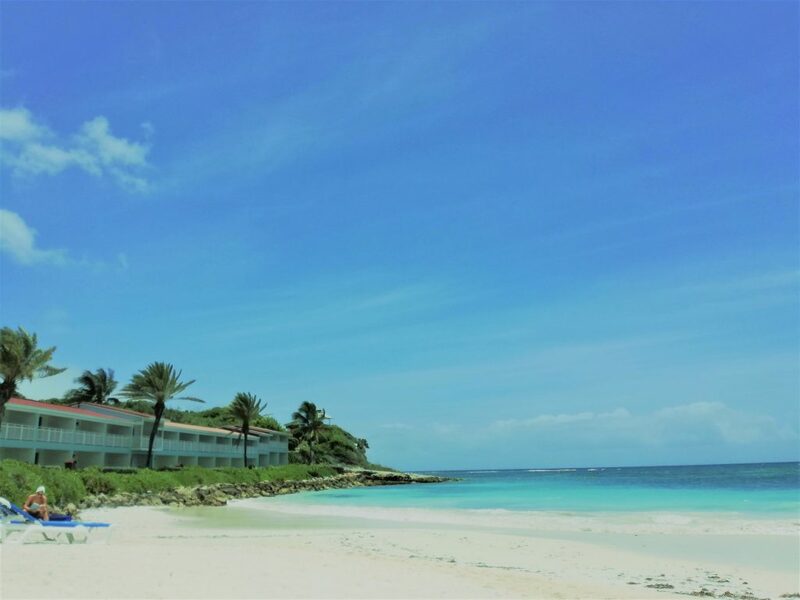 For the next 5 days we stayed at the Pineapple Beach Club – a Caribbean-style All-Inclusive resort located on the East Coast. The private minivan transfer took only half an hour to get to our destination. At the reception area, we were welcomed with a tropical rum punch and refreshing cold towel. I checked into the Waterfront Room which overlooked the beautiful turquoise ocean and was just a few steps away from the sun loungers. Our evening was spent at the Showcase opening event which took place at South Point hotel located on the other side of the island next to the old English Harbour. During night time you’ll get an amazing view of the glimmering lights in the marina. The first morning at Pineapple Beach Club started with a tasty buffet breakfast in the main restaurant which overlooked the beach. This was the day for our main event at the Jolly Beach Resort situated on the east coast of Antigua. It was a day full of meetings where I had the chance to make new connections and greet known contacts. After all the appointments, we headed to a scenic sunset cruise which took us along the east coast. Next morning we had an early start, as we headed to an exciting outing by speedboat from our beach. It felt like a James Bond movie when we were going on full speed to the shallow area in the middle of the sea. Just 5 minutes later we arrived at Stingray City which is home to around 50 Southern Rays. 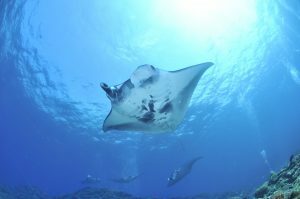 I had the chance to hold and feed the lovely rays. Rest of our time there was spent snorkelling in the crystal clear water where I could watch the stingrays elegantly glide by. As we got back to our resort quite early, I had time to catch some sun on the beach and sip on a tasty pineapple cocktail. 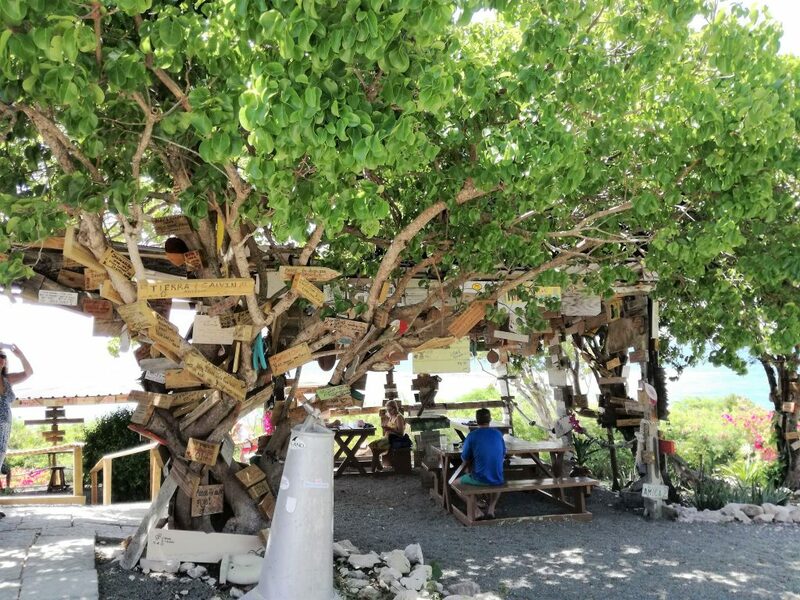 For lunch, our small group decided to The Outhouse a try – a rustic Caribbean grill located on the hilltop with a spectacular view of Long Bay. Visitors have the tradition to leave a personalised sign to the grill bar which makes this place even more one-of-a-kind. My plan for the rest of the day was to go for the viewing of a new hotel located in Hodges Bay, on the north coast of the island. To hear more travel stories from my trip to Antigua stay tuned for part 2 of the article!